Poll closed Jan 22, 2016 . You forgot the option "there is no traitor." I'm more on board with the self fulfilling prophecy idea. Consumed on finding out who the traitor is, they eventually get desperate and betray each other. The 6th apprentice could be a red herring. I'm more skeptical of the Master of Masters personally. majority of vote is the six apprentice does that mean you all agree he's the traitor or still you have other votes? I also considered the possibility that there's no 6th apprentice, but someone is actually trying to outsmart the rest of the group. But Ephemera is also a bit sketchy not to mention Chirithy! Trust noone. I feel like it might be Unicornis cause of that 'Haunted' Mansion from Twilight Town. His symbol, the unicorn, is all over that place. And even though it doesn't prove if he's the traitor or not it makes him more suspicious. What I'm saying is he's been foreshadowed in the series so he's probably important. The sixth apprentice is unknown and never around not to mention he didn't get a book of prophecy which makes him the sketchest out of the 5 and although we know little about the 5 Ursus says he doesn't believe the traitor is among them. I place my bet on the Sixth apprentice but I actually believe we'll fall into the self-fulfilling prophecy trope. I wonder if the book just says 'there is a traitor among the foretellers' or just 'there is a traitor', jokes on us if the traitor actually betrays the bad guy and saves the day. Even more funnier would be that the foretellers stole their tomes from their master's dead body and the sixth apprentice tried to prevent it makingthem the 'traitor'. The main problem at this point is that we know so little about them, that basically everything is just a random guess at best. Until the foretellers become active and show a bit more about their personalities, we won't be able to make guesses based on information. He means the traitor is among the five foretellers. The Ventus one? Going by Rebirth, wouldn't the more likely case be Unicornis, the Riku one? Notice how Chirithy's statement is a question though? Anguis' answer to this question would probably yield the more interesting bits, not to mention that Anguis "suspecting" something is still no proof at all. It's not only the Foretellers themselves that cannot really continue to trust each other. 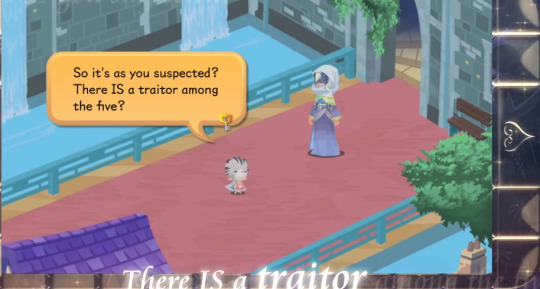 We, as the audience, also cannot really take any of the Foretellers and state "this one's statements are trustworthy" because we do not have any indicators towards which behaviour would actually point at the "traitor". So we cannot really determine yet if the statements of any of the Foretellers are trustworthy at all. Chirithy itself is also suspicious as is the sixth Apprentice, the Grand Master and even Ephemera isn't out of the loop yet. It also heavily depends on from which viewpoint the "traitor" is actually observed and what or who exactly this traitor even betrayed in the first place. 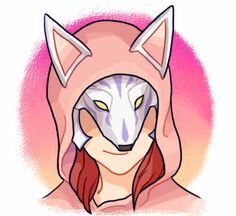 Vulpeus recruiting and collecting children from across all unions can under circumstances also be counted as treason to the designated roles of the Foretellers, as she clearly seems to act out of their usual mandate. I'll also advise to not attach the Foretellers to the Rebirth-theory too much in this regard as this can lead thought-chains astray. It is true that Riku was the only one to ever willingly betray the light and his friends (in KH 1), as Terra never intentionally caused his friends any harm while Kairi, Aqua and Ven are practically above any suspicion. The Foretellers however are NOT these characters so associating them too much with them can warp the perspective. In the rebirth theory Leopardos is a servant of darkness similar to how ventus was manipulated by Xehanort. I wouldn't say Riku because he's the balance between both light and dark which seems to be what Unicornis represents. I believe there is no traitor at all among 5 Foretellers. This traitor rumour was just spreaded by The Man in Org Coat to make the Foretellers betray each other because of the suspicion.